I was never that big into wearing lipstick, I always feel little too "made up" when I wear it. 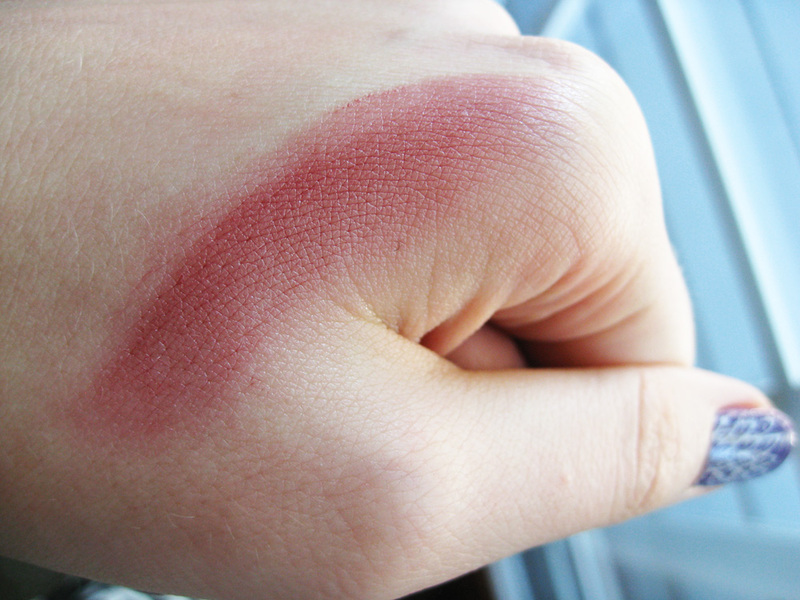 It's usually way easier to just throw on a tinted gloss or balm for just a hint of color. You can buy it at the store, but it's also really simple to make your own. You can even mix your own color combination to make your personalized color blend! 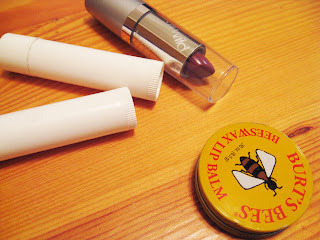 Cut off a piece of lipstick, the more you use, the darker the pigment in your balm. You could also mix several different colors to get a custom color, unique to you! I used about 5/8 of inch of lipstick down from the tip. Put your container in the microwave and gently melt, stopping every 20 seconds or so to stir, until liquid in consistency. You might also be able to do this in a double boiler, I'm not sure. Scrape out and put into your empty container. It's going to harden pretty fast so don't worry if it gets kind of clumpy. it's much more sheer when using a normal amount. Voilá! 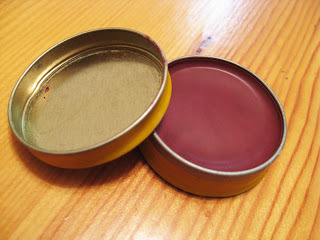 Custom color tinted lipbalm! This is a great idea may have to try it some time. Thanks! great idea! looks like you bought it at the store! nice collection.i love them.thanks a lot.